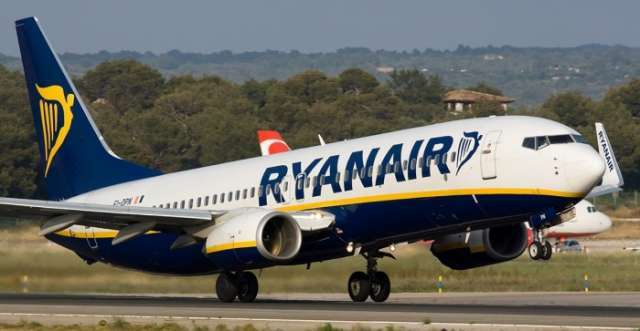 Ryanair’s summer strife has intensified, as the airline announced 250 more flight cancellations due to an anticipated walk-out by German pilots on Friday. Europe’s biggest budget airline had already cancelled around 150 flights operating ahead of pilots’ strikes in Ireland, Belgium and Sweden. Ryanair has not revealed which flights have been cancelled, but The Independent understands that links from East Midlands, Glasgow, Manchester and Stansted to and from Berlin Schonefeld will be grounded on Friday, along with Manchester and Stansted services to Frankfurt. The walk-out follows a 96 per cent majority vote by Ryanair pilots employed in Germany in favour of a strike, announced on 30 July, in a dispute over pay and conditions. Martin Locher, president of VC, said: “Improvements are inconceivable without staff cost increases in the cockpit. Ryanair categorically ruled out any increase in staff costs in the negotiations. “Ryanair alone is responsible for the escalation that has now occurred. That number has now dwindled by around 400 due to strike cancellations in Ireland, Belgium and Sweden, as well as Germany, representing one-sixth of the airline’s schedule. In total, an estimated 72,000 passengers across Europe will see their flights grounded. Ryanair’s chief marketing officer, Kenny Jacobs, said: “We regret the decision of VC to go ahead with this unnecessary strike action given that we sent through a revised proposal on a collective labour agreement [CLA, on 3 Aug] and stated our intention to work towards achieving a CLA together. “We also invited VC to meet us on Tuesday but they did not respond to this invitation. “Our pilots in Germany enjoy excellent working conditions. They are paid up to €190,000 [£171,000] per annum and, as well as additional benefits, they received a 20 per cent pay increase at the start of this year. Ryanair pilots earn at least 30 per cent more than Eurowings and 20 per cent more than Norwegian pilots. Last month more than 200,000 Ryanair passengers’ flights were grounded by cancellations, most of them due to strikes by pilots and cabin crew. Under European air passengers’ rights, there is a third option: Ryanair must buy tickets on other airlines if necessary to allow travellers to complete their journeys as swiftly as possible. In addition to Friday's action, flight crew who are members of the Dutch Airline Pilots Association (VNV) have voted by a majority of 200 to 1 in favour of a strike. They are calling for Dutch employment law to be applied, for “no more bogus self-employment”, and for improved sick pay and pension arrangements. Unlike in most European countries, the Dutch union needs to give only 12 hours notice of a strike. But the VNV said that Ryanair is going to court on Thursday afternoon to try to prevent any walk-out. The union said it was “surprised but also furious about this attack on Dutch labour rights”. The UK Civil Aviation Authority has urged passengers whose Ryanair flights are cancelled by strikes to claim compensation of €250 (for journeys of up to 1,500km) or €400 (for longer journeys). But the airline insists the stoppages are beyond its control and says any such claims will be refused.